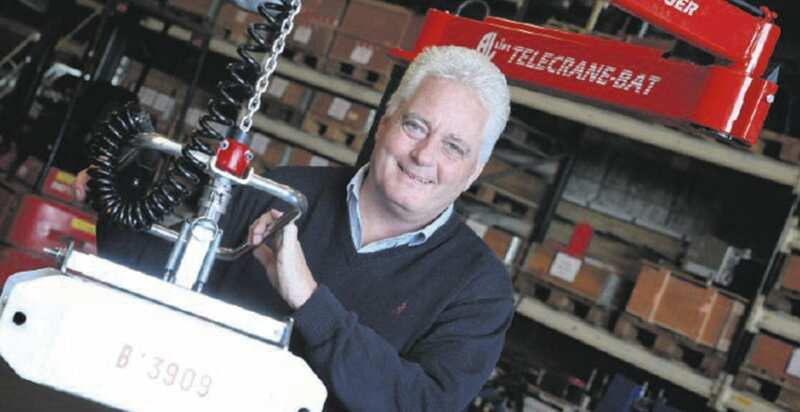 handling and lifting equipment, which he ran for 24 years with up to 57 employees. By the time of the takeover in October 2012, the company had grown to be a front runner in its business area, providing many unique products to the domestic market, as well as to export markets across most of Europe. Ever since the beginning, Allan Laursen has been heading the development of vacuum technology, including handling and lifting equipment. Allan Laursen started AL-Lift® in 2012, and with its wide-ranging experience in selected product areas, combined with the best ideas from his previous work, Allan Laursen sees great opportunities in AL-Lift® as your guarantee of choosing the right supplier, and making a safe investment. We maintain partnerships with our customers to simplify their production processes through innovative and economic system solutions and safer management. We rely on a team of highly motivated, competent and absolutely reliable staff. At AL-LIFT we are proud and excited to welcome many former employees with many years of experience. A graphic illustration of the history behind AL-LIFT ApS. From a small private garage to 3 gazelle awards. Al-LIFT ApS has been years in the process of making and Al-lift have throughout strived towards delivering nothing but the very best products. In 1988 Allan Laursen began to import and distribute machines and tools for the building industry. The premises were his back-garden garage at his home in his hometown Lemvig. Soon enough the young and eager entrepreneur outgrew his little care garage and the company had to move to slightly larger rented premises, still in Lemvig. Here there was space for the company to independently develop and produce new machines, lifting concrete products through vacuum power. Thereby, in 1991 AL-Material delivered the first vacuum lifter out in the world to handle and lift pavement slabs. 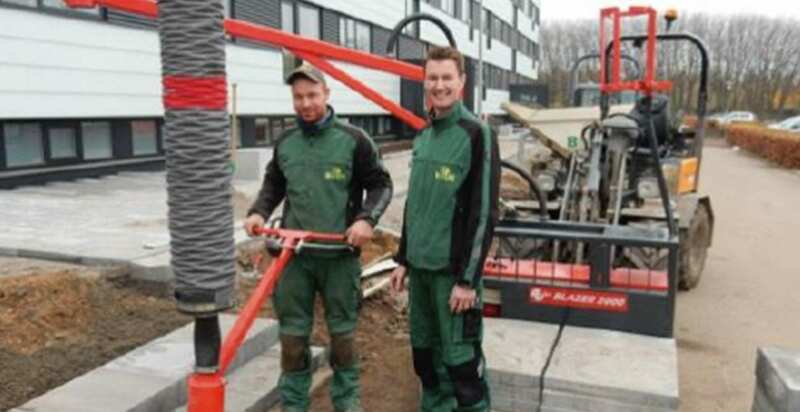 The company quickly expanded beyond the 300m2 large premises as other lifting equipment were launched and proven attractive to the building industry. Therefore, the company moved the production to an 800m2 large premise whilst the office, storage and the department for development remained in the smaller premises. Yet again, in 1994 there was a need for more space and the company brought all departments together under a 1500m2 roof, still in Lemvig. After a consecutive growth period throughout the first half of the 90’s, the privately-owned company became a joint stock company in 1995 under the name AL-VAC a/s, with Allan Laursen as the sole shareholder. In relation to the millennium, completely new 2900m2 premises were built to optimise the production, mounting and storage facilities. In addition, a few years later a showroom and high spec production was added and the entire factory now composed of 5500m2. Al-Material a/s was known for the wide and unique programme of standard products within vacuum lifting equipment for both building and manufacturing industry. By then, the company had built up a sought-after expertise in relation to developing special solutions for specific lifting tasks within both industries. Al-Material a/s was without doubt the leading company within the Danish market and was gradually increasing the export of lifting equipment to other countries as well. In 2004, 2005 and 2006, Al-Material a/s was awarded the Gazelle Award. Every year the Danish business newspaper Børsen issues The Gazelle Award to companies who has doubled the business income within the previous 4 years. In 2012, Allan Laursen handed over Al-Material a/s to new shareholders. 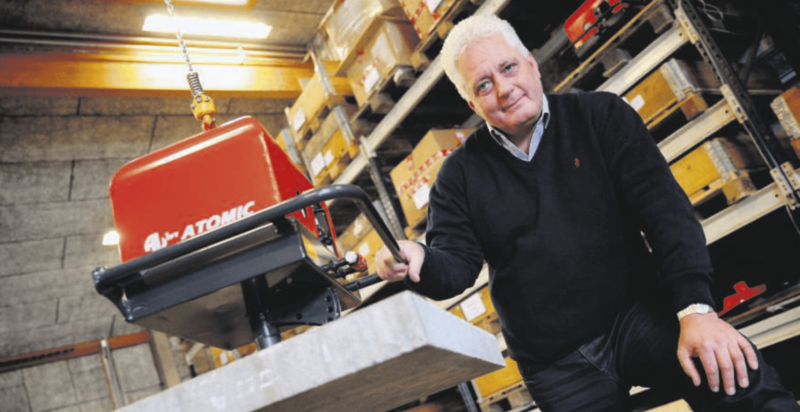 The following year, Allan Laursen established AL-LIFT ApS from new premises. The company now produces and sells lifting and handling equipment in Denmark and the rest of the world. From the 1st September 2016, AL-LIFT ApS took over the premises from AL-Material a/s at Transportvej in Lemvig and AL-LIFT now has 4000m2 high spec production and storage facilities to develop and expand within.